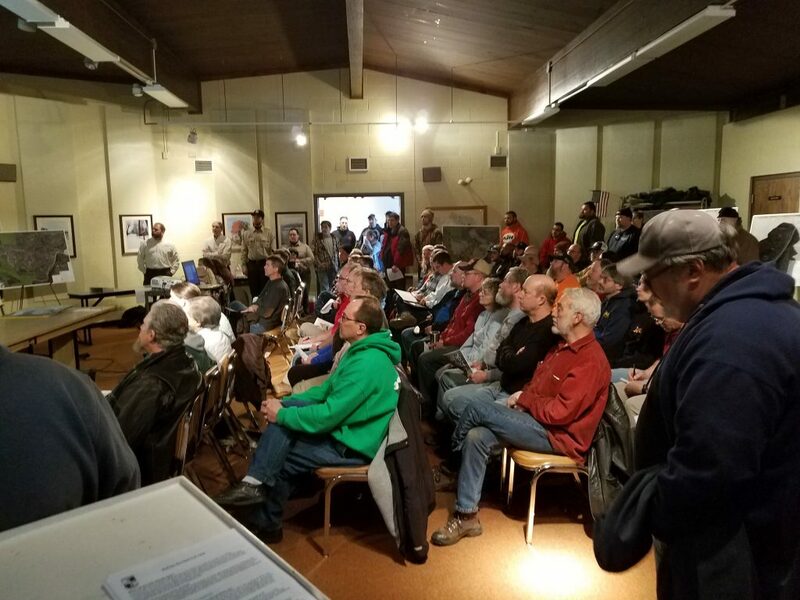 The second Wolf Den Run State Park open house, held on January, 26th 2019 at the Greenbrier State Park Headquarters, was just as successful as the previous one. 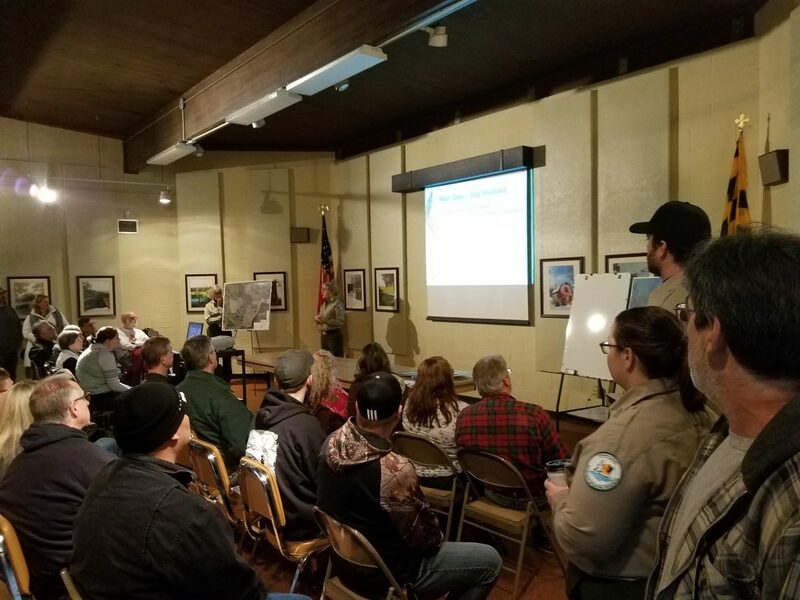 As we expected, OHV enthusiasts turned out in force and there was standing room only. DNR reviewed the the current status and proposed way forward with a master park plan. DNR remains committed to opening the Park as soon as possible using existing trails however, the access bridge still remains a major issue. They are currently looking at various options to access the property in the absence of a permanent bridge. Standing room only! Great turnout by OHV enthusiasts. To all of those who have attended these open houses and responded to the online survey, THANK YOU! The State now more fully understands how strong of a force our community can be. They are listening to our survey responses and understand our desire to have the park opened as soon as possible, and to do so with camping! No doubt as snow is blanketing the Washington DC area today, the work for the OHV community has yet to grind to a halt. Making a snowman is not easy work, especially at the beginning. Somewhere in the beginning of making the first snowball, it’s a lot of work. However as the snowball gets bigger, the work gets easier and the snowball making is fun! February was marked by many encouraging metrics for the OHV community. And that small OHV snowball is beginning to actually look like it will flourish! First off, did you happen to see this news article on 18 February? A recreational developer wants to bring a series of legal off-road riding areas to Allegany County for use by all-terrain and other vehicles. Key to any trail system would be cooperation between the state and developers involving liability issues and the use of reclaimed strip mine lands. Secondly, this past week, the Stakeholders’ meeting was a seismic event. DNR is moving to the next phase leading to the opening of Savage River State Forest and the Sideling Hill Wildlife Management Area for OHV riding. Yes, you heard that correctly! It isn’t a done deal yet. 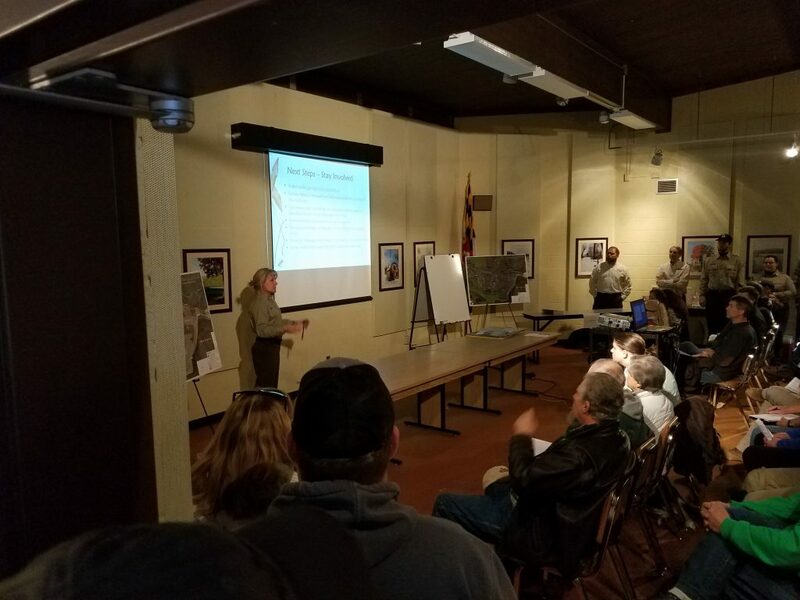 The next step is in April DNR will conduct a 2-day field review which will included selected OHV participants to evaluate the proposed trails (read that to ride them), then a public comment period. If that goes well, then the State will award a contract for construction of parking, primitive camping, some trail extension, etc. Volunteers will be a large part of trail construction. This all could lead to public riding starting in 2014.